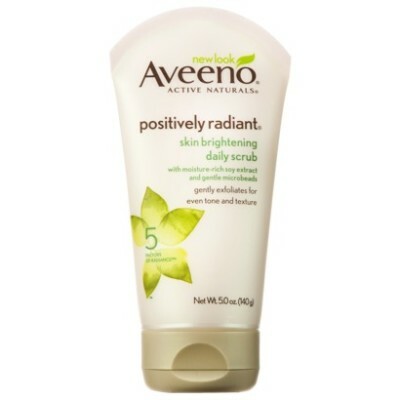 I’ve been using this daily scrub from Aveeno for about two weeks and I am so happy with it. I usually use a product from Philosophy for exfoliation and really like it but this is an amazing drugstore alternative (it’s around $8/5 oz.) at a decent price. If you want a super gentle exfoliating effect look for this daily scrub. Skin Brightening Daily Scrub is a soap and oil free scrub that gently lifts away dead skin cells, impurities, and pore blockages leaving your skin smooth, bright, and toned. Gentle enough for sensitive skin. 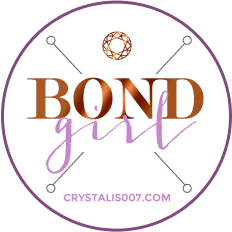 Enhanced with moisturizing glycerin and soybean proteins. Hypoallergenic. Non-Comodogenic. I have been using this scrub first thing in the morning. It’s soap free and I think thats why I like it so much. It isn’t drying and has non abrasive exfoliation microbeads in it. They are so gentle to the skin so you don’t feel like you are scraping your skin with anything rough or harmful. And once you wash your face you are left with really soft skin that feels moisturized and ready for whatever you are going to apply next. I usually go in with a light moisturizer after using this daily scrub. My skin doesn’t feel tight or dry which is key. I hate it when my face feels tight and drained of moisture after cleansing. This is even okay for those with sensitive skin! Please use care when trying it but I think you’ll be pleasantly surprised. I can’t speak to the claims that this helps even my skin tone in two weeks of use but I can say that it has improved the texture of my skin. It’s softer. I can use this daily its so gentle. I was worried at first but my skin seemed to actually get used to the idea ha! I have combination skin so if you don’t and your skin is drier this might be something you use less often but I don’t think it will irritate your skin. I am so glad I have a lower cost alternative that I like at the drugstore! Check this out the next time you are thinking of changing up or adding to your skin care routine. heck out of topic… Mark Jacobs has a new volumizing mascara *. * thoughts? No thoughts really-not sure I’ll be getting that. There are so many other new mascaras I have picked up and plan to try! Said I was going to wait on getting this but I think I may go ahead and pick up a tube lol! Now I’m becoming a drugstore skincare whore. Oye vey. It’s buy one get one half off at Ulta lol! Awww hayle. I was already over there on Saturday. I got 2 of the Whipped Body Souffles. Trying to talk myself into now going back over there today!